1199 members picket outside Mt. Sinai Hospital last month. 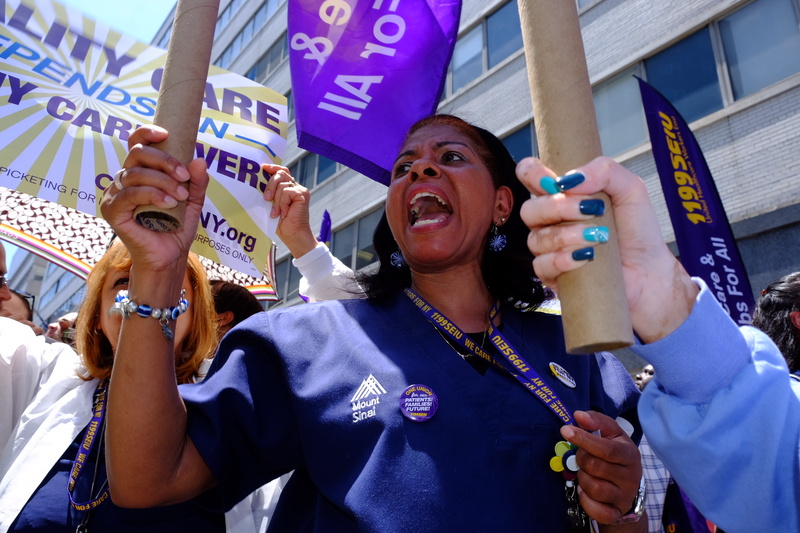 United Healthcare Workers East, said Tuesday that 70,000 union members who would be covered under the contract were voting on whether to stage a one-day strike which would take place on July 31 if a contract agreement is not reached by July 30.